A fundamental disconnect between the way technology and business teams perceive customer data is resulting in lost opportunity for marketers, a Forrester Research principal analyst claims. Fatemah Khatibloo, who sits in the group’s customer insights practice, produces research on how marketers and business can use customer data to improve engagement. 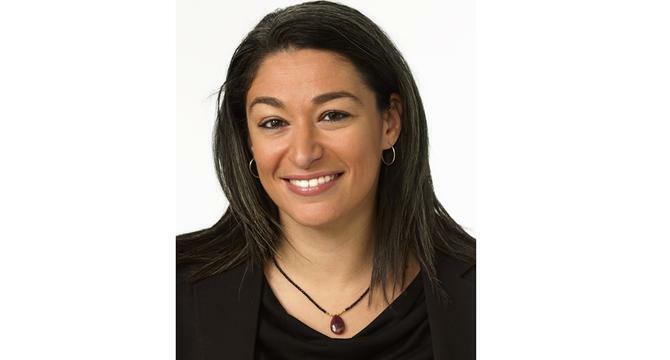 She will be presenting on how businesses can turn big data into insights at Forrester’s upcoming Summit for Marketing and Strategy Professionals in Sydney on 13 August. “What tends to happen and what we have seen in recent years, is that there’s a fundamental disconnect in the way business leaders think about data, and how technology leaders think about it,” she told CMO in an interview before the event. Succeeding in the age of the customer is not about massive amounts of data, or the three Vs of variety, volume and velocity, Khatibloo said. Instead, she positioned big data as the gap between the data business teams have access to, and what they are currently tapping into. For Khatibloo, the treasure trove of data marketers should be drawing insights from, and what is being least optimised currently, is that which paints a richer, clear picture of the customer journey. For example, in the retail sector, inventory management should be a fundamental part of customer journey mapping, she claimed, or refer data from a website to customise the experience further, she said. Data sitting with business partners offers another area of opportunity for marketers and businesses in general, she said. To tap into this, marketers need to find opportunistic ways to partner with these other colleagues in a privacy protected, data sharing way. One of the common stumbling blocks when it comes to using customer data is privacy and security. These rules are only getting more complicated with the variety of regulation and cultural obligations coming into effect globally. Questions about how data is stored as well as shared, along with not track and right to be forgotten practices, are further muddying the waters. In addition, transactional or patient data in the financial and health services sectors is often siloed away from marketing department for legal reasons. While agreeing customer privacy should be respected, Khatibloo said that’s not to say marketers can’t tap into data at an aggregated, anonymised level. “Is there something I can do to anonymise that data, aggregate it, and run some intelligence against it to understand what products my customers need?” she asked. There is a very real fear – unrealised – that if you give consumers the choice, they’ll immediately opt out, but our research has shown this isn’t true. Khatibloo also offers two key principles for marketers to follow in the face of the complex data privacy and security quagmire: Transparency and choice. “Marketers have grown up hiding behind legal policies, and legal teams have notoriously left massive loopholes in our policies as we didn’t know what we wanted to do in the future. We know now that’s not acceptable to consumers or regulators,” she commented. “Stating your intentions with data, explaining what data you collect and how you intend to use it, and doing so in plain language, goes a very long way. Also, give consumers conscious choice and control.” This could be allowing them not to provide their social identity, or have to login via Facebook, or share a phone number. Or if they’ve provided details for a service problem, they should have the right for that information not to be shared and used for marketing purposes. From a technological perspective, most marketers that have enterprise marketing platforms to execute against these sorts of rules. The bigger issue is process and organisations wanting to make this change culturally, Khatibloo said. “There is a very real fear – unrealised – that if you give consumers the choice, they’ll immediately opt out, but our research has shown this isn’t true. When you give people meaningful choices… they won’t mind an email every couple of weeks or about a specific product they like is on sale, just not every week,” she said. Beyond privacy and security is marketing ethics, and Khatibloo called for a new set of marketing and business ethics to address the rising use of customer data. “Some of this has to do with privacy, but it’s also about the unintended consequences of some of the things we are doing,” she said. As a hypothetical example, Khatibloo pointed to Google’s Flu trends map, which used big data to endeavour to predict where the flu was going to hit. The information was overstated and proved geographically inaccurate. While this doesn’t have huge implications today, what if this data had been used as the basis for a pharmaceutical company then looking at where to send vaccines, Khatibloo asked? In this case, relying on that intelligence would be dangerous, she claimed. “If we don’t know the context and the insights, we’re not really sure what we should do with that. We have some hard questions to ask ourselves as we apply big data and think about what it means for our businesses, to make sure from an ethical perspective that we are doing the right things,” she said. As a point, Khatibloo asked what happens when casinos start getting really good at data analytics and start integrating third-party data. Khatibloo suggested most companies are using 12 to 15 per cent of their customer data at present. The majority are only up to personalising emails on simple segments, and are still not in a position to provide dynamic content or customisation. However, at the other end of the scale is US restaurant chain, McCormick and Schmick, which has built detailed flavour profiles of its customers that are now being used to provide personalised information through all digital channels. This includes specific recipes, content, promotions and sponsored products. Khatibloo admitted McCormick and Schmick had the advantage of no legacy direct marketing database or campaigns, and agreed it was incredibly difficult to push through consistent data use and customer engagement processes across all lines of business. But it can be done. One example is Kaiser Permanente, a health cover provider in the US. It has completed integrated and digitised its channels from a content and patient identification point of view, and all business lines work hand-in-hand. “They had to work very hard to make that happen,” Khatibloo said. The catalyst for such change has to come from a position of executive leadership, she said. “It’s not just about being digital in social channels – this is digitising the whole business, and having a single customer source of truth and across every touchpoint,” she said.